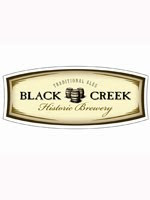 Black Creek Historic Brewery, the only working historic brewery in Ontario, today announced a list of unique specialty limited availability ales being planned for the 2012 season, available only at the brewery located at Black Creek Pioneer Village. "The list of specialty beers was developed based on ingredients that would have been available or grown locally in the 1860's - such as maple syrup or lemon balm,” said Ed Koren, Brewmaster, Black Creek Historic Brewery. “We also tried to match the specialty brews with special events taking place at Black Creek Pioneer Village, such as brewing the pumpkin beer during Halloween Hootenanny". The specialty beers are sold in 64oz growlers. They cost $16, which includes the tax and a $4 refundable deposit for the growler. The growlers are available for sale in the Black Creek Historic Brewery and the restaurant. Three beer samples are given out during the tours (3 x 4oz). Samples of three different types of beer (3 x 4oz) that are brewed on-site are available for sale in the Brewery only. The cost for the sampler pack is $4.50 (tax included). The growlers are hand crafted in small batches consisting of approximately 30 growlers each. They are brewed using historical recipes without the use of electricity or refrigeration, no stainless steel tanks or bottling plants. The beers are also not carbonated which is one of the biggest differences compared to the commercially brewed beer of today. The brewery recreates the techniques, tools and recipes used by brewers in 1860s Ontario. The equipment is made mainly of wood and copper, and the beer ferments the way it did in the old days, with wooden barrels to age the beer. The Brewmaster completes the brewing process by hand. Black Creek Historic Brewery is operated at Black Creek Pioneer Village where visitors can tour, taste, learn the history of beer in Canada, pick up a growler of ale and savour a meal at the Black Creek Brewery Restaurant. For more information about these specialty brews and their availability, check out the Black Creek Growler Blog .